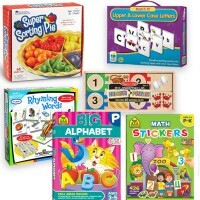 This preschool educational kit features 5 popular sticker activity books to learn and have playful fun at home, at school, or on the go! 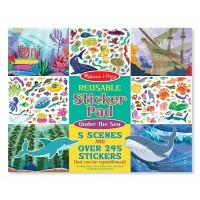 Preschool children love stickers. 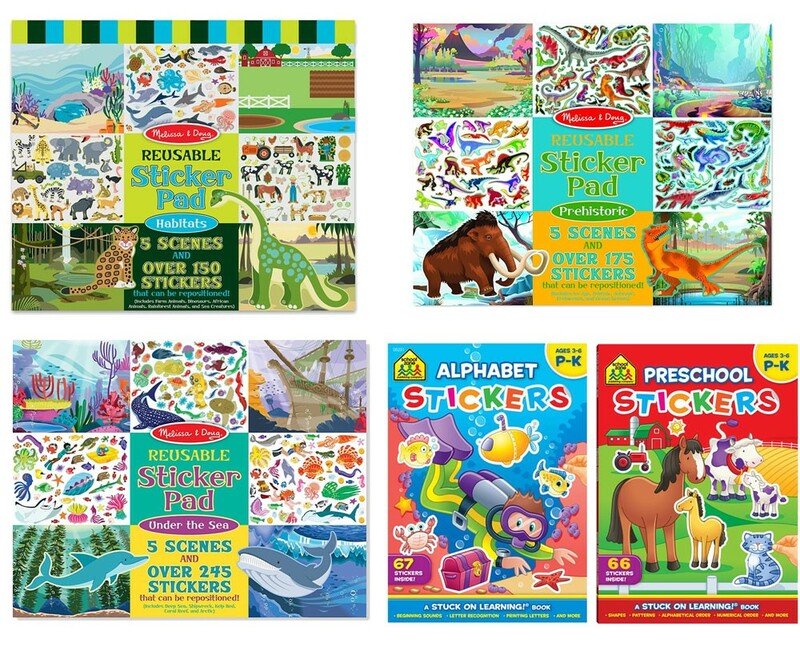 The more stickers - the better! 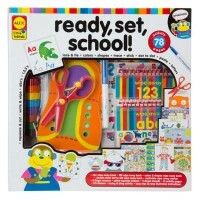 This Educational Toys Planet's stickers activity kit is full of fun activities for preschool kids. 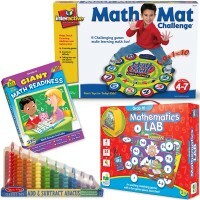 Great to take along to grandma's house or plane trip, the Children Stickers Set Educational for Preschool contains 5 popular activity toys for ages 3-5 years. 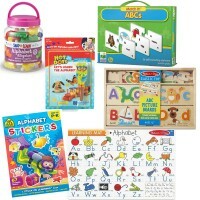 The educaitonal kit features Preschool Stickers 16-pages and Alphabet Stickers 64-pages learning activity books by School Zone, and 3 terrific reusable sticker activity pads from Melissa & Doug: Under the Sea, Habitats, and Prehistoric. 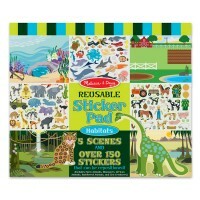 Kids will love to fill the five reusable landscapes from every Melissa & Doug's sticker pad with colorful cling-style pictures. 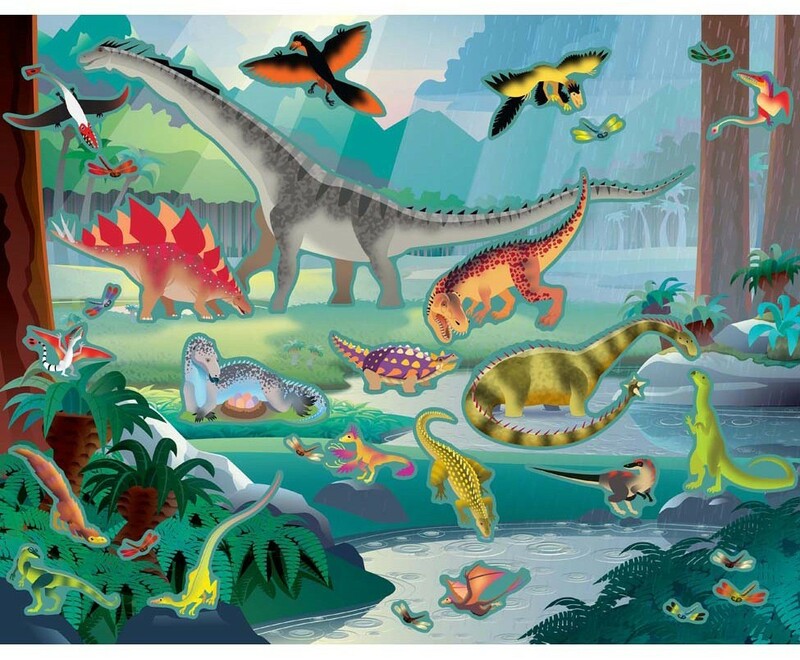 Learn about bio habitats and create your own animal habitats, fill up the ocean landscapes with live creatures, or inhabit prehistoric scenes with dinosaurs! 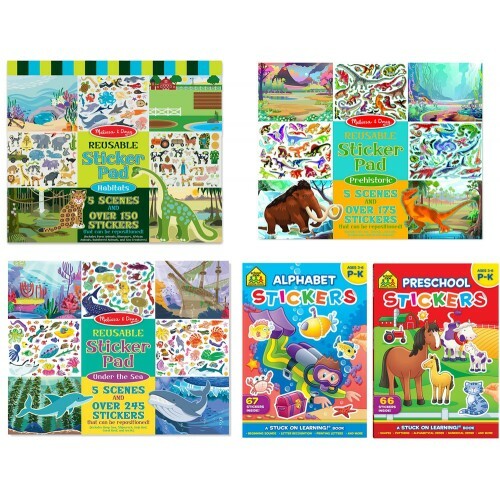 Stickers, animals, imaginative play and adventures - all included. 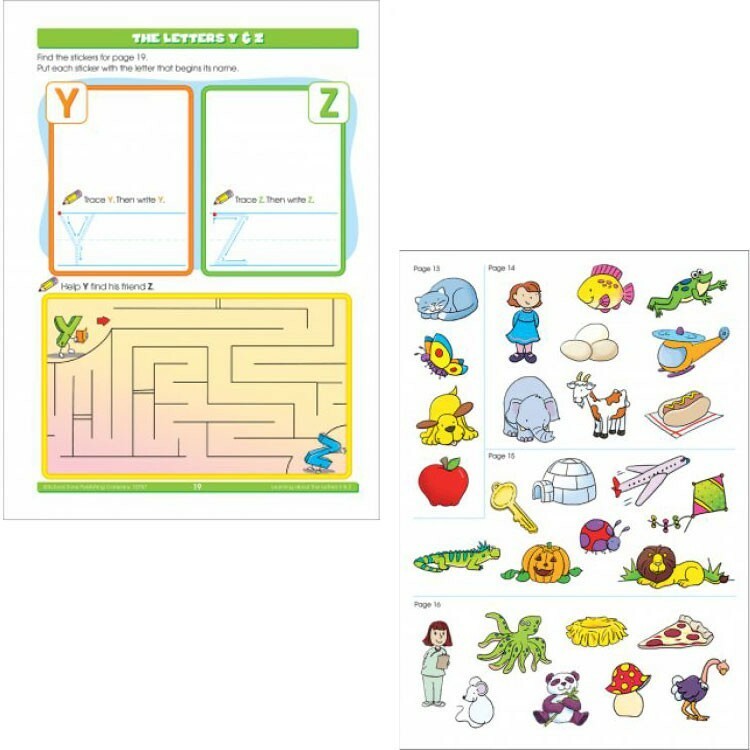 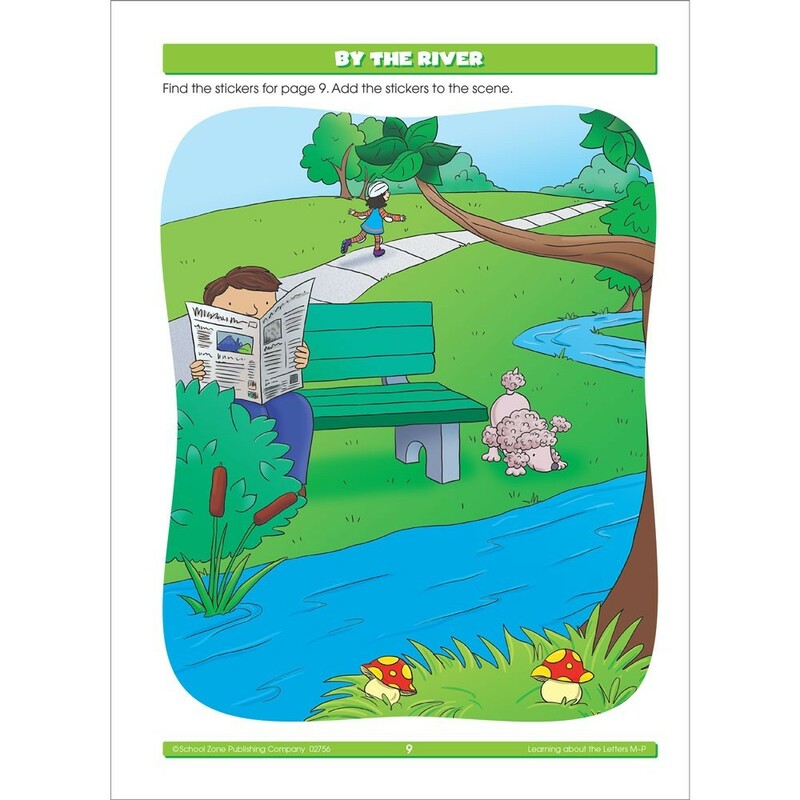 With the enclosed in the kit School Zone 64-page brightly illustrated sticker workbook preschoolers will learn the ABCs quicker. 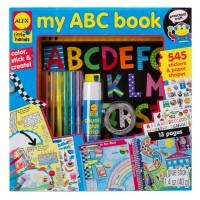 The preschool activity book has activities to introduce and practice shapes, patterns, alphabetical order, counting and numbers, and more! 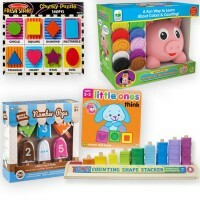 Stickers will keep the preschool children busy with learning. 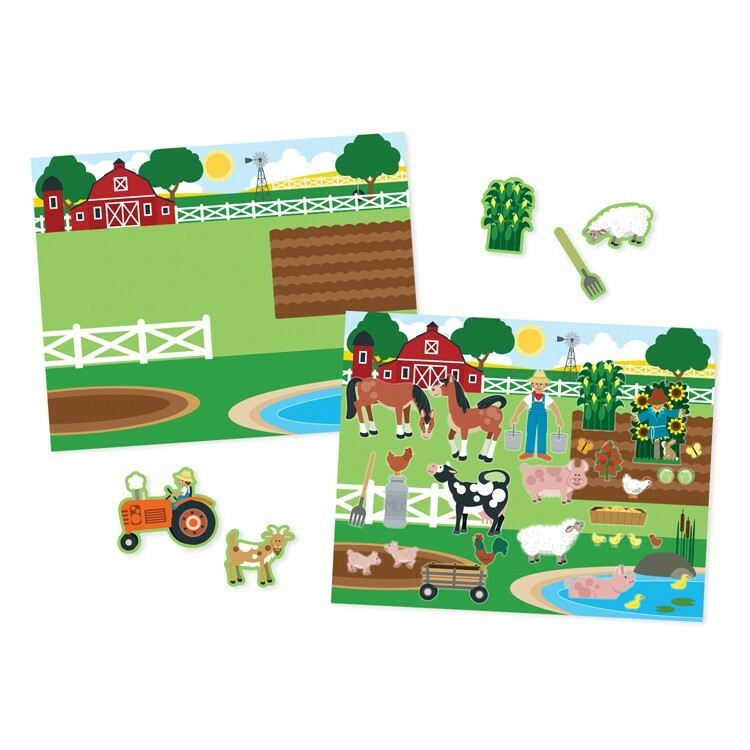 Especially stickers that plug into each activity to complete the exercises and playfully help develop school readiness skills. 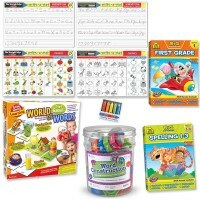 Dimensions of package 0.11" x 0.14" x 0.02"
Write your own review of Children Stickers Set Educational for Preschool .